A Wall Diver’s Paradise & The Blue Hole in Belize! Be mesmerized by sheer wall dive sites like Painted Wall, Half Moon Caye, and Quebrada in Belize. Each wall is adorned with giant cherry-colored gorgonians and huge auburn elephant ear sponges. 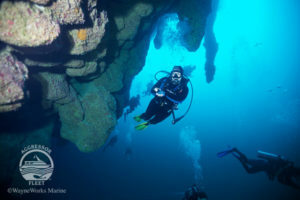 Micro wildlife hides in every crevice, cave, and tunnel of these beautiful coral formations while macro life gracefully glides past you in the deep blue. 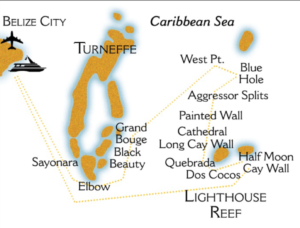 Belize is the second smallest country in Central America. 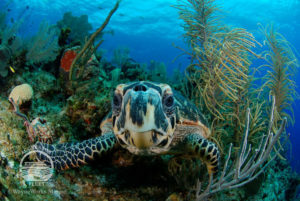 Despite its size the country is home to the world’s second largest barrier reef, three of the four true coral atolls found in the hemisphere, ancient Mayan Ruins, luscious rainforests, and abundant wildlife. 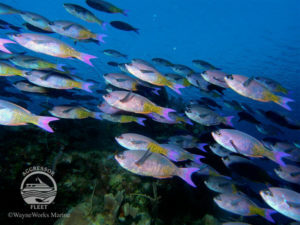 Belize has a wealth of marine species, with an immense range of ecosystems within the Mesoamerican biodiversity hotspot. 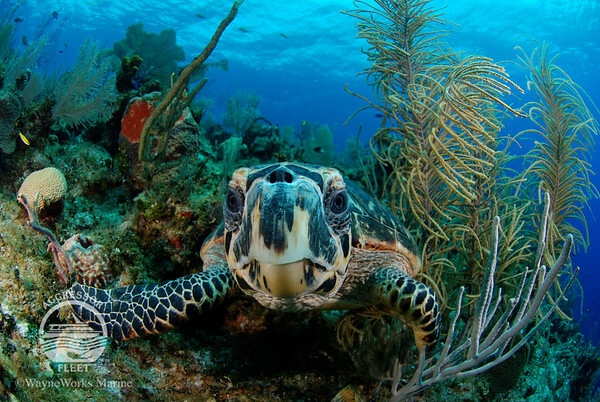 The marine life that inhabits the barrier reef includes everything from dolphins, schools of tarpon, sharks, eagle rays, sea turtles, stingrays, a wide variety of tropical animals, including micro and macro critters, and of course, the famous Blue Hole. 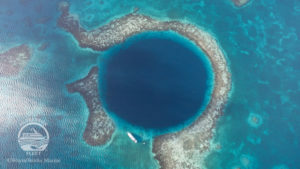 The Blue Hole is a collapsed freshwater cave system that is approximately 1,000 feet across and over 400 feet deep and was made world famous by ocean pioneer Jacques-Yves Cousteau. 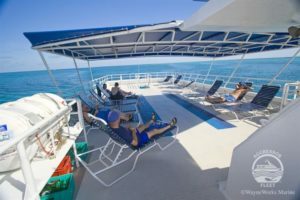 One translation, derived from a Mayan word, of Belize, means ‘land facing the sea’ and exploring the sea is what you will do. 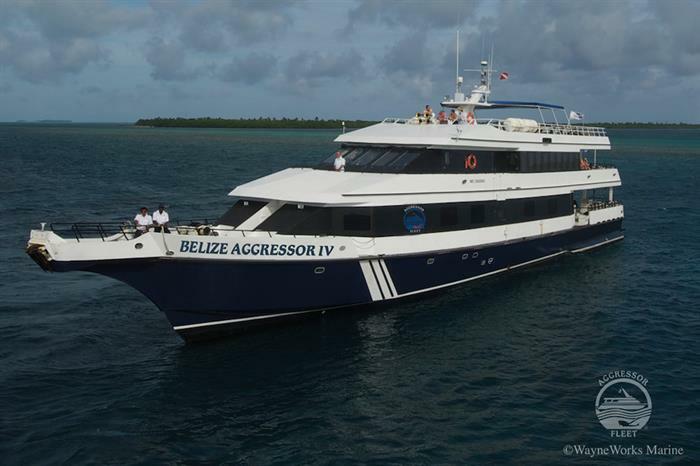 We will spend 7 nights aboard the Belize Aggressor IV visiting Turneffe, Lighthouse Reef, and many spectacular sheer wall dive sites. 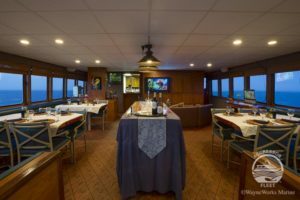 The yacht features a spacious air-conditioned salon and dining area, sun deck complete with lounge seating, and a shaded wet bar and grill. 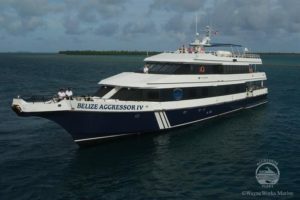 Each room has its own private bathroom and is air-conditioned. 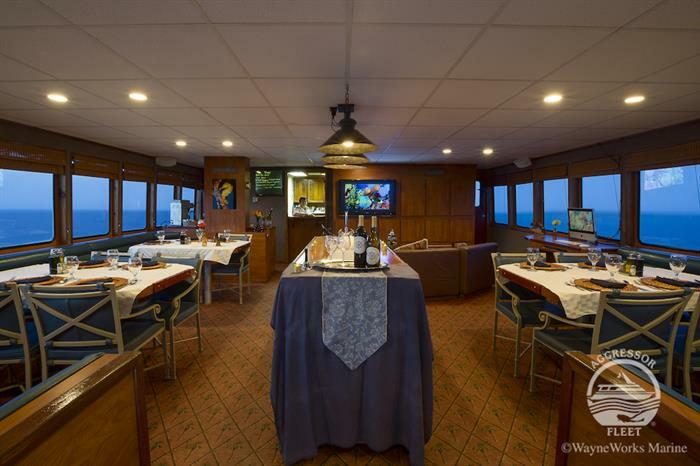 You can expect delicious American, barbecue, and local cuisine while on board. What are you waiting for? Sail away with us as we explore the unmatched biodiversity of Belize!